The Simply Stunning Bouquet is just that - simply stunning. It is a vibrant bouquet full of bi-colored red and orange roses and orange lilies surrounded by poms, solidago and purple statice. 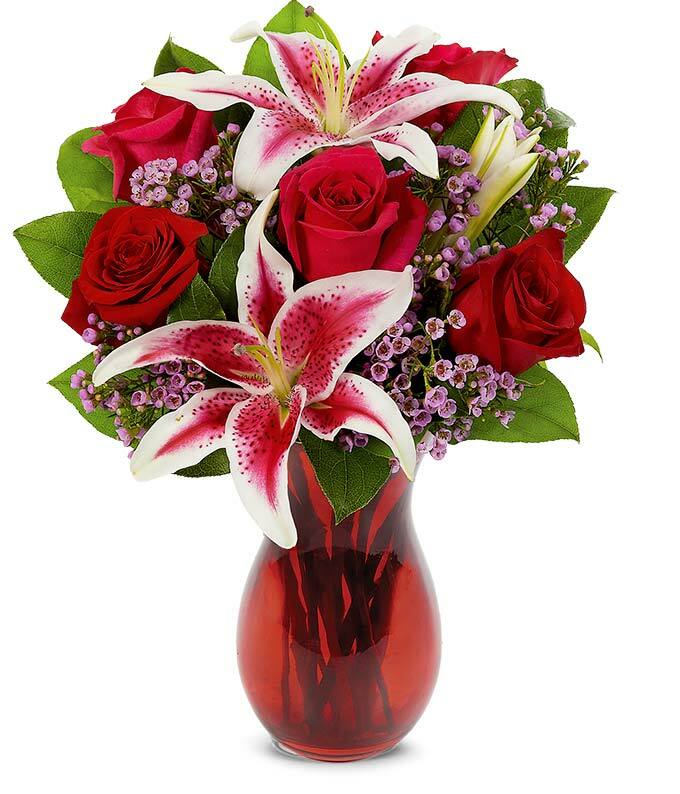 All of this is delivered to you with a clear vase to properly display this arrangement.